Ludmilla A. Fleck, 66, Mandan, passed away Sept. 18, 2018, at her home. Mass of Christian burial will be held at 10:30 a.m. Monday, Sept. 24, at St. Joseph Catholic Church, Mandan, with The Rev. Jarad Wolf officiating. Burial of the urn will be held at North Dakota Veterans Cemetery, Mandan. Visitation will be held from 2 to 6 p.m. Sunday at Weigel Funeral Home, Mandan, with a rosary/parish vigil at 5 p.m. Visitation will continue one hour prior to the service at the church Monday. Ludmilla was born on March 27, 1952, to Peter Sr. and Elizabeth (Yantzer) Fleck in Mandan. She was raised and educated in the St. Anthony area. On July 2, 1971, Ludmilla married her sweetheart, Robert Leingang in St. Anthony. She had a long-standing career as an office manager with Bill’s Super Valu grocery store, serving for more than 25 years. She also worked for Coast to Coast and Farmer’s Union and most recently for Mandan School District at Fort Lincoln School. Gardening, cooking and sewing were her way of showing her creative, artistic expression and she expressed it every chance she got. Ludmilla never shied away from playing a game of pinochle, a favorite pastime of hers. She even belonged to a local pinochle club. Ludmilla loved fishing and camping with her husband Bob. They spent several summers together at Lake Sakakawea where they would stay at their favorite camper site. She was full of adventure and would try anything, including filleting a Northern Pike into boneless fillets. She was a great cook and was immensely dedicated to her grandchildren, all of whom looked forward to all the goodies Grandma made, most of all Grandma's homemade jelly and buns. She always supported and took great joy in attending all of her grandchildren's many activities, as well as time spent passing on her wonderful kitchen skills. 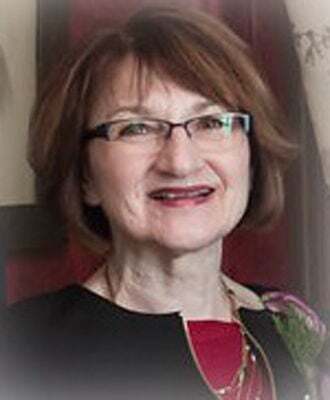 Ludmilla will be deeply missed by her husband, Robert R. Leingang; daughters, Robin (Steven) Carriere, Grand Forks, and Megan (Craig) Brunner, Bismarck; sons, Casey J. (Casey M.) Leingang, Bismarck, and Erik (Kaitlyn) Leingang, Bismarck; mother, Elizabeth Fleck, Bismarck; grandchildren, Grace and Evan Carriere, Andrew Rahrich, Ryan and Allison Leingang, and Georgia Tryan; sisters, Victoria Schaaf, Mandan, Jennifer (Randy) Kuntz, Bismarck, and Delores (Mark) Karabensh, Mandan; brothers, Les (Joyce) Fleck, Solen, Nick (Marcia) Fleck, Solen, Alan (Candace) Fleck, Mandan, Dale (Kathy) Fleck, Bismarck, Peter, Jr. (Donna Rae) Fleck, Mandan, and Francis Fleck, Mandan; sister-in-law, Diane Schmidt; and many nieces and nephews. Ludmilla was preceded in death by her father, Peter Fleck Sr.; sister, Vivian Fleck; nephew, Cranston Fleck; father-in-law, Joseph Leingang Jr.; mother-in-law, Lorraine (Leingang) Carman; and brothers-in-law, Ron Schaaf, Melvin Leingang, and Gerald Leingang. Read through the obituaries published in today's edition of the The Bismarck Tribune.